In our continuing series of 47 films to see before you are murdered in your dreams, we present the cult horror comedy The Abominable Dr. Phibes. Camp British horror movies don’t come much campier or better than the 1971 Vincent Price cult classic The Abominable Dr. Phibes. Price plays the mad organist, theologian and clockwork orchestra owner who seeks revenge for the death of his wife by murdering the team of doctors and nurses who failed to save her on the operating table. One by one, he eliminates his victims in a series of imaginative deaths, each one inspired by one of the nine plagues of Egypt. There are rats, bats, hail and locusts; not to mention a fatally shrinking costume party frog head and someone being impaled by a bronze unicorn head. ‘We can’t have bronze unicorn heads being catapulted across London streets,’ cries the outraged police inspector. Peter Jeffrey plays the unfortunate police detective who always manages to arrive just in time to gasp at the corpse. He is one of a number of familiar faces to grace the cast. Joseph Cotton and Terry Thomas also pop up and everyone seems to be having enormous fun. Robert Fuest directs with a real visual flair – loads of nice foregrounding and framing – as well as making the most of the 30s period. Feust cut his teeth on The Avengers TV series in the 1960s. 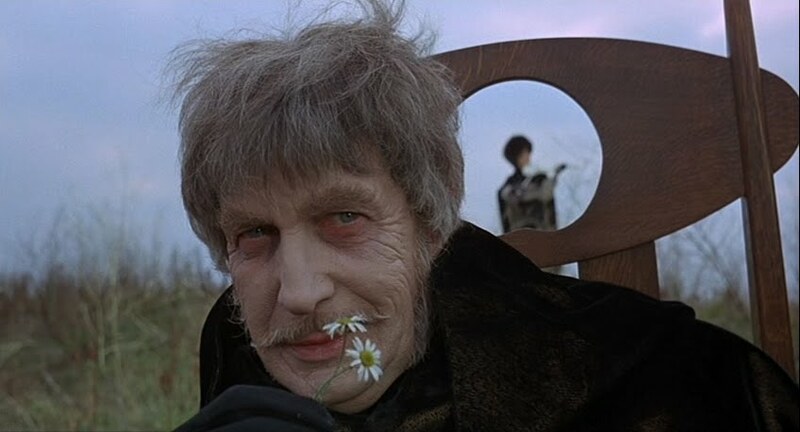 And Phibes has a similar taste for the surreal. The colors remind me of Mario Bava’s Italian horror movies. The comedy, here, is genuinely funny without undermining some of the more nasty shocks. Price is enjoying himself hugely. He would go on to repeat the experience with a sequel and in 1973 the wonderfully bizarre Theater of Blood. I prefer THEATER OF BLOOD myself.